The new orbital stroke action of the Rand 6400 Orbital Air Scaler combines the best performance features of an ultrasonic scaler and air scaler into a single handpiece. The gentle, low frequency reduces pain and bleeding while unique orbital scaling action removes tough calculus. 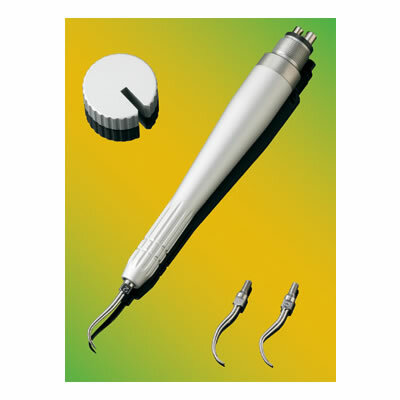 The air scaler is fully autoclavable and connects directly to an airhose of high-speed handpieces.